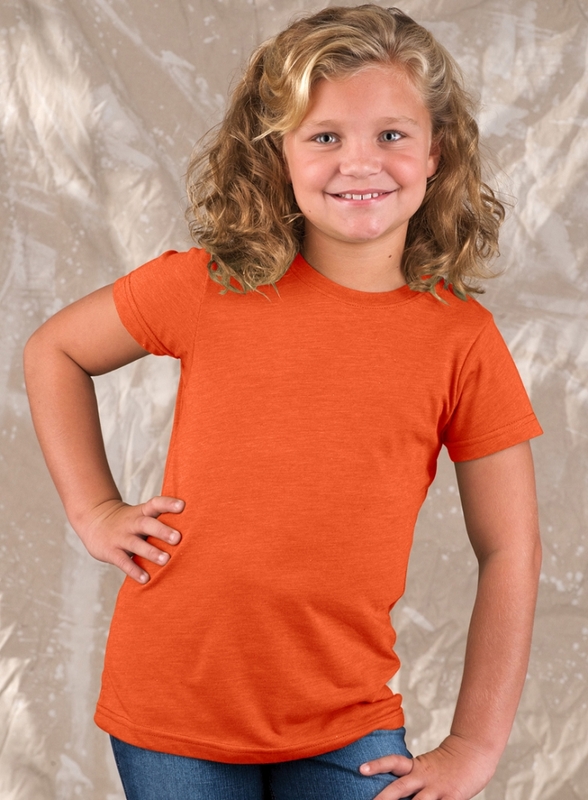 These fashionable t-shirts for girls feature a heathered pattern in a variety of colors for a cool, casual look. For easy mix and match, this long length vintage tee is a must for her school or weekend wardrobe. These blank t-shirts will give a retro feel to your design if you are into crafting, personalizing or decorating t-shirts, or they can be worn layered or as a plain t-shirt. Available in 7 popular colors with options that represent teams, fashionable girls colors, resorts and more! 4.5 oz. 50/50 combed ringspun cotton/polyester vintage heathered fine jersey. Topstitch ribbed collar. Taped neck. Double-needle hem sleeves and bottom. Color and heather variations are inherent to this vintage product.